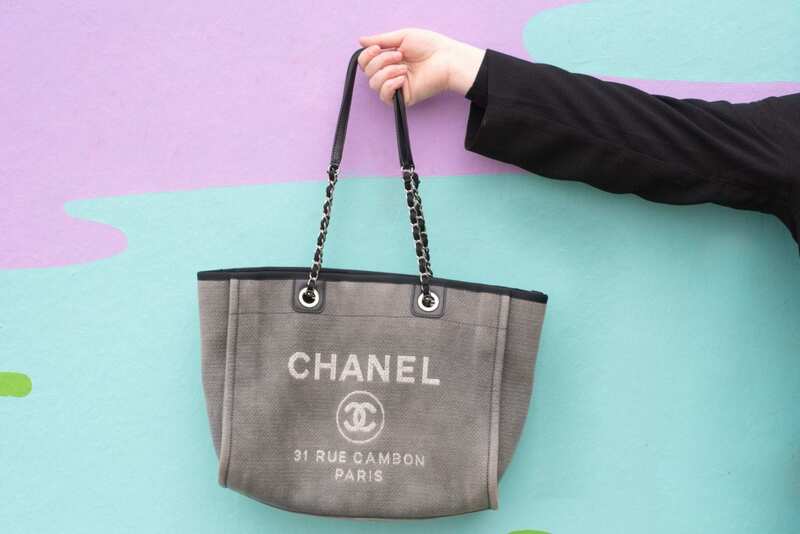 The Vintage Chanel Deauville V’s The Modern Deauville Tote Handbag - Fashion For Lunch. 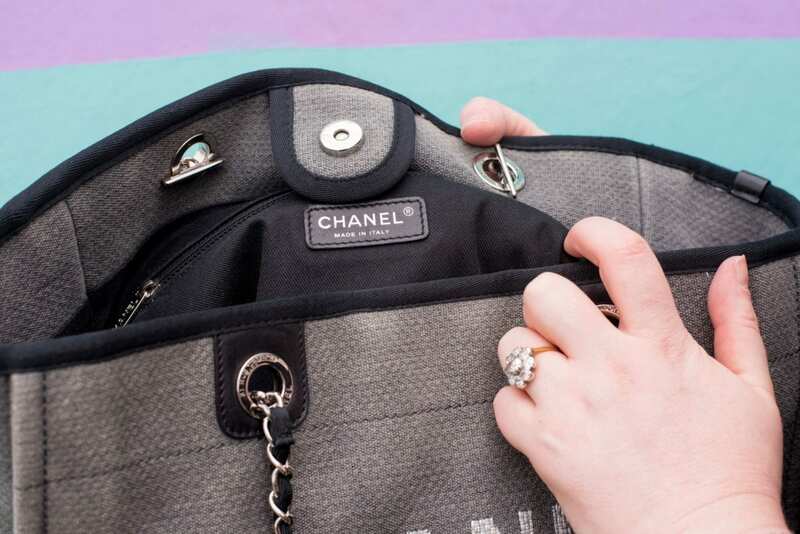 So, before I start this post, I’m going to mention that I’m a bit of a Chanel Geek and this post might not be for anyone. But for all the Handbag nerds like me, this ones for you! Let’s start at the beginning shall we? I bought my Deauville tote about a year ago now. 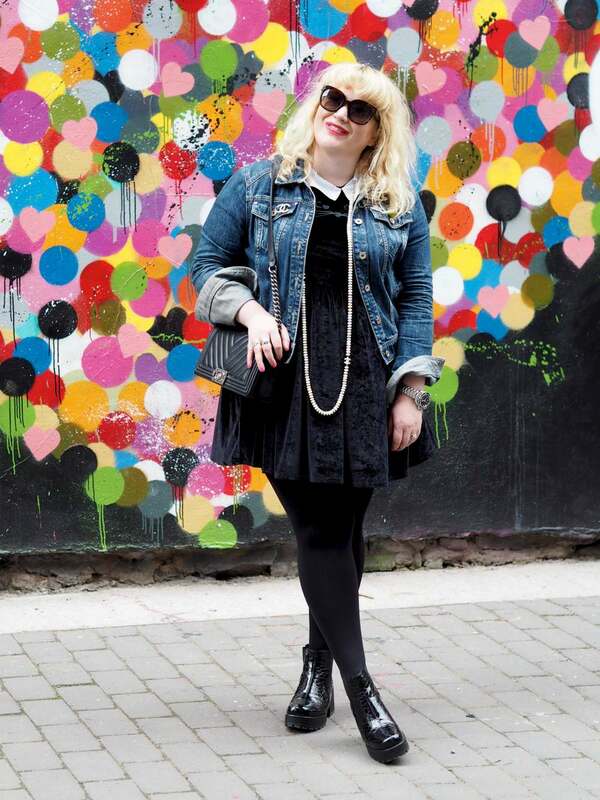 I bought it from a Vintage Heirloom which used to be an amazing pre-loved Chanel (and designer) website. I got a 2012 edition of the Classic canvas tote, but those with beady eyes might have noticed that the design of this handbag has changed over the years. Personally I’m team #VintageDeauville, however I am a little biased! Let’s chat about the differences shall we? First of all one of the biggest differences of the two bags; the straps. The earlier Deauville tote has standard straps, part chain with inter-woven canvas and part leather. Length wise, it’s long enough to carry over your shoulder, but short enough to carry in your hand. The current Deauville handbag has two sets of straps on each side; one long chain and one short structured leather strap. Although I have noticed most people (actually everyone) carry this bag using the shorter top handle straps, maybe because the structured straps don’t fold down so easily?! 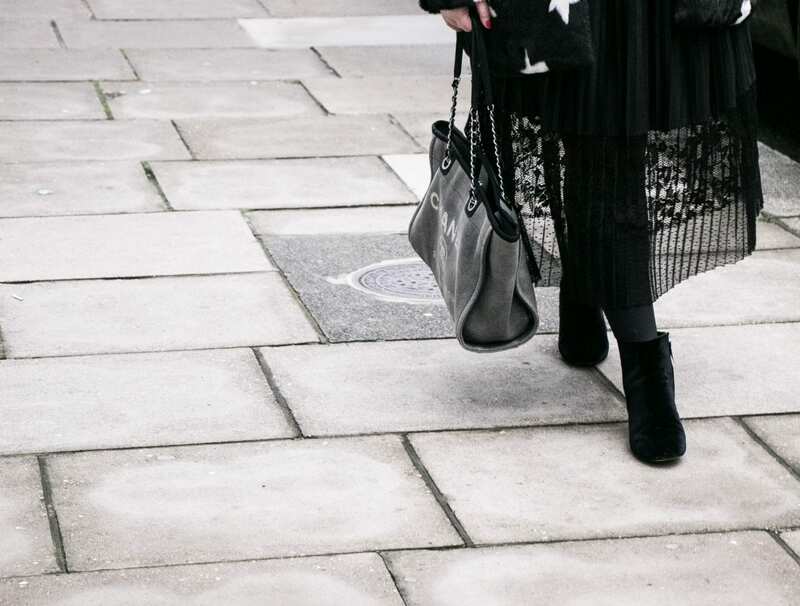 Personally, one of the reasons I LOVE the Deauville handbag is because it’s so user-friendly and easy to throw over my shoulder and get on with your day. I also appreciate the fact the straps have leather at the shoulder section so it’s really comfortable to carry (some of my other Chanels with chain straps dig in a little). Whilst the two handles on the newer style look lush, it really is a ‘hold-in-your-hand’ handbag, which is less versatile and less comfortable if you are carrying around a heavy computer or camera all day. I own quite a few Chanel handbags but my most used bag is the Deauville because it’s so practical and easy. I love having the option of throwing it over my shoulder and I love the lightweight style of it. Some of my other chanel bags (the jumbo classic flap) weigh a flippin’ tonne and whilst I haven’t compared the weight difference between the new and old Deauville tote, I would assume with the thicker, longer chain straps, it’s going to be a fair bit heavier. The Deauville tote bag comes in different colours each season but I have noticed the newer Deauvilles have more obvious branding. For instance, my older Deauville handbag is a mid grey bag with light grey branding. Whereas the newer Deauville handbags tend to be a stronger contrast between the colour of the bag and the branding, an example would be a navy blue bag with bright white branding. Obviously the Deauvilles do come in different colours, but the more obvious branding is a trend I have noticed. Some may like the subtle branding, others prefer stronger, it’s really about your preference. Oh and the newer Deauville totes sometimes have a slightly different texture for the branding, sometimes the lettering is spelt in sequins, embroidered or stitched on in furry wool, other times it’s printed rather than woven into the fabric. FYI, my older Deauville handbag has the branded woven into the fabric. What I’m trying to say is the newer versions of the Deauville tote bag have a lot more seasonal changes. 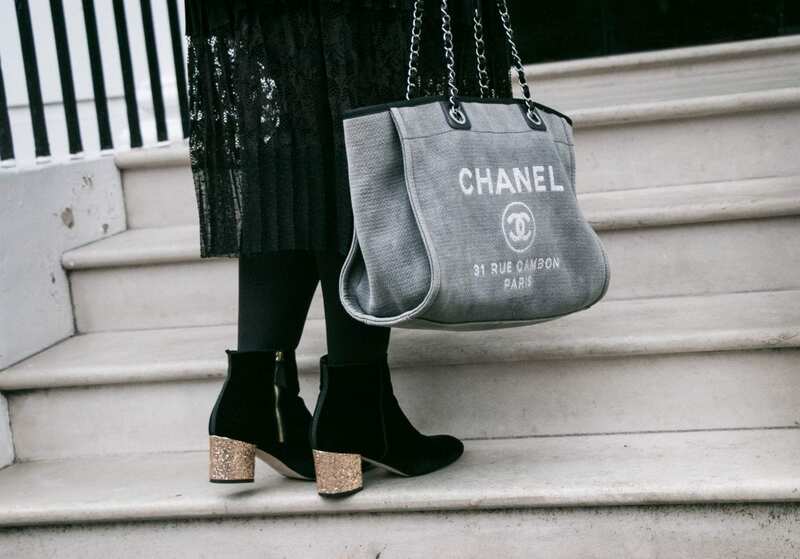 Finally, the older chanel Deauville handbags tend to be a little cheaper than the newer styles, mainly because you have to buy them on the pre-loved market and because they are still being made every season, the price of the older styles is lower than that of the newer styles. I’m also guessing the the two straps are more popular with most Chanel shoppers too, making this style more desirable. FYI, handbags like the GST are actually more expensive now, than they were full price because they have since been discontinued and harder to source. Anyhow, the Deauville tote can be found on Vestiaire Collective for around £1,200 upwards, where as the brand new versions are around £2,700. So if you are in #TeamVintage, you can save yourself a tidy sum. However, if you are #TeamModern, there are lots more variations to choose from. OH! 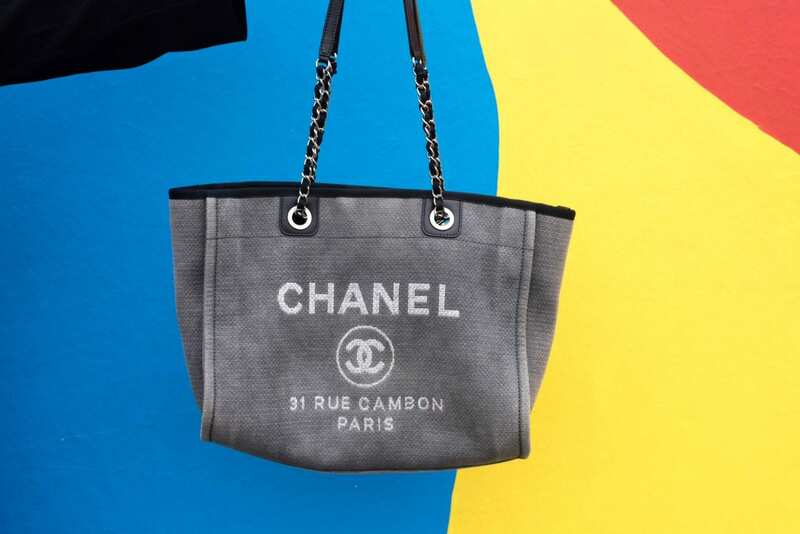 And finally, in terms of size and shape, the older Chanel Deauville tote bags can be found in taller, portrait styles or small and mid-sized shoppers (back in the day, I think the size I have was the standard mid-size shape). However, tastes change and these days you will only find the Deauville in a wider, landscape style shape (no longer the smaller and portrait style shapes) and they have also introduced a XL size, which is super cool. In terms of lining, I think all versions of the handbag have a cloth lining with the leather stitched label, which is one of the reasons the bag is fairly light weight. Phew! I think that’s everything! I hope that’s of help to any Deauville shoppers out there and please do let me know if you have any questions or observations of your own! Images 1, 3 and 5 were taken by Samantha Taylor, Images 2 and 4 were taken by Adorn Girl. Next Post Beauty: Too Faced Expand Their ‘Sweet Peach’ Collection!